Visser & Smit Hanab is a leading company in the field of pipe and cable infrastructure both above and below ground for the supply of energy, water and communication, and associated facilities. For over 100 years, their business has been prospering from the development of cabling and pipeline work in the Netherlands: this forms the basis for their current leading position in the market. 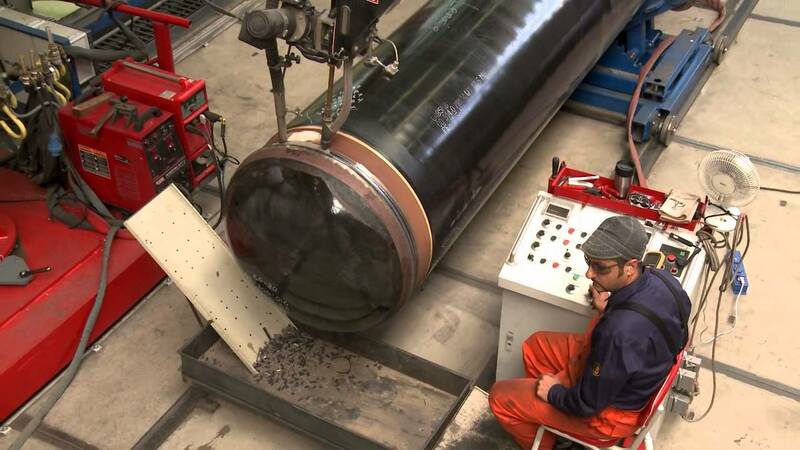 Visser & Smit Hanab works regionally, nationally and internationally, both on land and offshore. Their client portfolio includes utility companies, industrial organizations, telecommunication providers and public authorities. Together with their clients Visser & Smit Hanab aims to maintain reliable network connections and systems. To this end, they strive for continued, close cooperation with their clients, based on mutual trust and the maintenance of good contacts. Visser & Smit Hanab went looking for a document management solution that aligned with the work of the document controllers. A choice was made for Microsoft SharePoint and Cadac Organice. Improved efficiency in work processes. Document Controllers are more easily able to distribute documents. Standard templates increase manageability of projects. Visser & Smit Hanab includes five divisions, each with their own expertise. The Distribution business unit is active in pipe and cable infrastructure for small projects, such as connections to homes. The Cables, Marine & Installation (CM&I) business unit places cables and pipelines in the sea, for instance for electricity to offshore windmill parks. The Transport & Drilling Solutions (TDS) business unit places oil and gas pipelines over large distances and conducts drilling activities. The Industrial & Power Projects (IPP) business unit places cables and pipelines above ground for plants, installations and facilities. And finally the Development and Technology (D&T) business unit develops and manages new projects. In addition D&T includes an engineering department responsible for technical solutions and their execution for all projects within Visser & Smit Hanab. The need for document management arose several years ago. Arjan Hartman, Chief Information Management, was involved from the start. “Document management requires a lot of discipline from employees. Visser & Smit Hanab deliberately chooses an external project manager, who is not only capable of supporting the selection and implementation phase, but also supports the change management process. Peter van Geel, external Project Manager: “We went looking for a solution that aligned with the work of the document controllers. We chose SharePoint and Cadac Organice, because it aligns with our Microsoft standard. Moreover, our key users prefer this solution as the most user friendly. To implement document management with SharePoint and Cadac Organice, Visser & Smit Hanab has introduced a standard procedure. Peter van Geel: “Project teams can tell us what they need through a menu. After that we setup the environment based on standard templates, which increases the manageability of projects. We organize workshops and training for users. By means of a rollout kit the teams can scale up the rollout of the solution within the project. As a result users know what they can expect and can easily accept the new working method.” Visser & Smit Hanab is using a phased approach for the rollout of the solution into the organization.